How do we work together to do it right? Strange colours & light over Niagara, Ontario, Canada today. The heat continues in the area and there was no rain. Cirrus clouds have been idling by all day in the light, warm breeze. Cirrus clouds (cloud classification symbol: Ci) are a genus of atmospheric clouds generally characterized by thin, wispy strands, giving them their name from the Latin word cirrus meaning a ringlet or curling lock of hair. The strands of cloud sometimes appear in tufts of a distinctive form referred to by the common name of mares’ tails. Cirrus clouds generally appear white or light grey in color. They form when water vapor undergoes deposition at altitudes above 5,000 m (16,500 ft) in temperate regions and above 6,100 m (20,000 ft) in tropical regions. They also form from the outflow of tropical cyclones or the anvils of cumulonimbus clouds. Since these cirrus clouds arrive in advance of the frontal system or tropical cyclone, they indicate that the weather conditions may soon deteriorate. While they indicate the arrival of precipitation (rain), cirrus clouds themselves produce only fall streaks (falling ice crystals that evaporate before landing on the ground). What was interesting was that there had to be a correlation with the composition of the clouds and how light was refracted through them. Most likely, these clouds were composed of solid ice particles. There could be many other explanations, which I encourage readers to leave their comments about. Was hoping some kind of unidentified flying object or meteor would fly by at the same time but, alas, not. 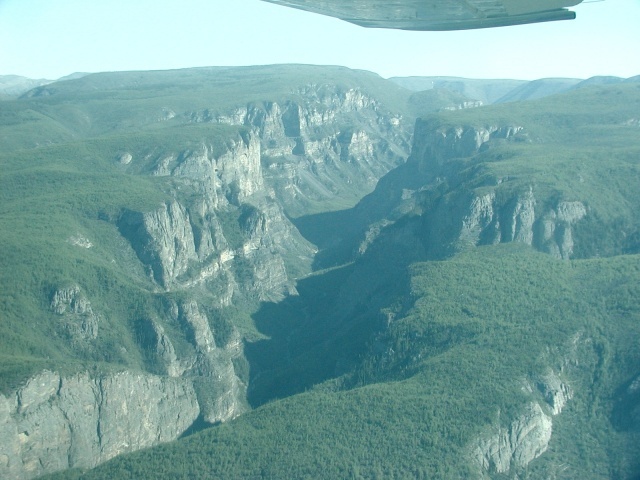 The Nahanni Valley of Canada’s Northwest Territories has been called one of the last truly unexplored places in the world. Lying above the 60th Parallel, it is accessible only by air, water or a long overland journey from the village of Tungsten. As a result, much of the area remains unexplored, despite being declared a national park in 1976, and a World Heritage Site in 1978. Native tales tell of an unknown evil lurking within 200 Mile Gorge, and most avoid the area. Local oral history also tells of a mountain-dwelling tribe known as the Naha. The Naha were feared by the region’s Dene people, as they often descended to raid nearby villages. These tales end with the rapid, mysterious disappearance of the Naha. No trace of this tribe has ever been found. The eerie nickname attached to 200 Mile Gorge is the Valley Of The Headless Men. This name comes from a series of unexplained incidents in the Gorge during the Gold Rush of the early 20th century. Two brothers, Willie and Frank McLeod left in 1906 in an attempt to reach the Klondike through Nahanni. Nothing was heard from them for the next two years. Rumours spoke of the two finding the “mother lode” of gold. Despite this, no efforts were made to find them. In 1908, another prospecting expedition discovered two bodies, later identified as the McLeod brothers. Both had been decapitated. This incident would likely have been marked up as just another macabre tale of North had they been the only headless bodies. In 1917, the body of a Swiss prospector by the name of Martin Jorgenson was found next to his burned cabin. Decapitated. In 1945, the body of a miner from Ontario, whose name seems to be lost to history, was found in his sleeping bag, without a head. A trapper named >John O’Brien was found frozen next to his campfire, matches still clutched in his hand. I cannot find any reference to the state of his head. Theories abound as to what happened to these men, and others (up to 44 people are said to have disappeared there). Some put these attacks down to grizzly bears, some feuding prospectors, others natives. Some say the area is naturally heated by hot springs, and is practically a tropical paradise, a Shangri-La if you will, with the valley floor covered in gold nuggets. These theories often speak of the valley being a haven for the Sasquatch. Some even claim the valley is an entrance to the “Hollow Earth”. My view lies somewhere in-between all these. I believe that the native Naha people discovered this sheltered valley, and settled there. Theoretically, food would be plentiful if the valley is the veritable paradise described in some reports. These people then likely became highly territorial over their lands, and killed any trespassers. The decapitation is reminiscent of certain other tribal practices designed to instill fear in their enemies. The image provided is for reference only, and as far as I am aware, there are no images of the 200 Mile Gorge available online. The Alaska Volcano Observatory said satellite images showed Cleveland Volcano had spewed ash 15,000 feet (4,572 meters) into the air in a cloud that moved east-southeast. U.S. Geological Survey scientist-in-charge John Power called it a small explosion. “It’s not expected to cause a disruption to big international air carriers,” he said. But the event drew strong interest from air carriers. “Any time you put an ash cloud up into the atmosphere, the airlines, the air carriers, air freight companies — it’s a major concern,” Power said. The ash cloud was significant enough to raise the alert level from yellow, representing elevated unrest, to orange, representing an increased potential of eruption, or an eruption under way with minor ash emissions or no emissions. Cleveland Mountain is a 5,675-foot (1,729-meter) peak on uninhabited Chuginadak Island about 940 miles (1,512 kilometers) southwest of Anchorage. Scientists in July noted increased activity in the crater at the summit of the volcano. Satellite images showed lava building and forming a dome-shaped accumulation. Chris Waythomas of the USGS said in September that lava domes form a lid on a volcano’s “plumbing,” including the chamber holding the magma. When they grow big enough, lava domes can become unstable and will sometimes collapse. When the magma chamber decompresses it can lead to an explosion as the conduit inside the volcano suddenly becomes unsealed and gases escape. Radar images earlier this month showed the dome had cracked and subsided, Power said. The Federal Aviation Administration and the airline industry get concerned for trans-Pacific flights when an ash cloud has the potential to exceed the 20,000-foot (6,096-meter) threshold, as Cleveland Volcano has done in the past. Cleveland Volcano’s last major eruption was in 2001. It has had bursts of activity nearly every year since then, and the ash cloud Thursday was not out of character. The observatory Thursday morning had no satellite images of the crater after the eruption. The Advanced Land Imager (ALI) on NASA’s Earth Observing-1 (EO-1) satellite captured this high-resolution, natural-color images on December 23, 2011 showing an island being formed in the Red Sea. Satellite image of the same region from October 24, 2007. An eruption occurred in the Red Sea in December 2011. According to news reports, fishermen witnessed lava fountains reaching up to 30 meters (90 feet) tall on December 19. The Moderate Resolution Imaging Spectroradiometer (MODIS) on NASA’s Terra and Aqua satellites observed plumes on December 20 and December 22. Meanwhile, the Ozone Monitoring Instrument (OMI) on NASA’s Aura satellite detected elevated levels of sulfur dioxide, further indicating an eruption. The activity in the Red Sea included more than an eruption. 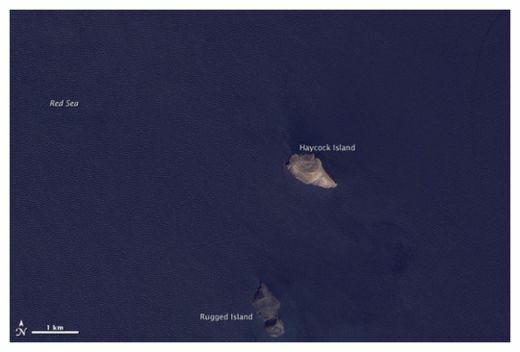 By December 23, 2011, what looked like a new island appeared in the region. The Advanced Land Imager (ALI) on NASA’s Earth Observing-1 (EO-1) satellite captured these high-resolution, natural-color images on December 23, 2011 (top), and October 24, 2007 (bottom). The image from December 2011 shows an apparent island where there had previously been an unbroken water surface. 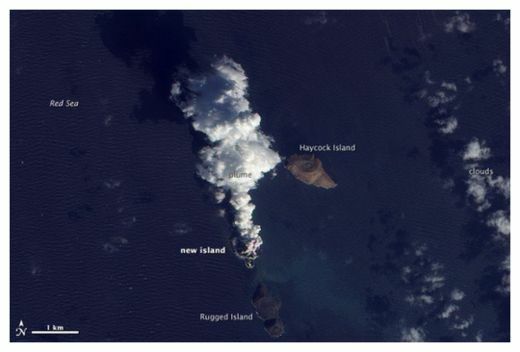 A thick plume rises from the island, dark near the bottom and light near the top, perhaps a mixture of volcanic ash and water vapor. The volcanic activity occurred along the Zubair Group, a collection of small islands off the west coast of Yemen. Running in a roughly northwest-southeast line, the islands poke above the sea surface, rising from a shield volcano. This region is part of the Red Sea Rift where the African and Arabian tectonic plates pull apart and new ocean crust regularly forms. Bauwens, J. (2011, December 22). Eruption in the Zubair Archipelago, in the southern Red Sea. Accessed December 27, 2011. Gass, I.G., Mallick, D.I.J., Cox, K.G. (1973). Volcanic islands of the Red Sea. Journal of the Geological Society, 129(3), 275 – 309. Global Volcanism Program. (2011, December 20). Weekly volcanic report, 14 December – 20 December 2011. Smithsonian Institution. Accessed December 27, 2011. Global Volcanism Program. Zubair Group. Smithsonian Institution. Accessed December 27, 2011. Klemetti, E. (2011, December 19). Potential eruption off the coast of Yemen. Eruptions. Accessed December 27, 2011. U.S. Geological Survey, National Park Service. (1999, January 14). Divergent plate boundaries. Accessed December 27, 2011. Volcano Discovery. (2011, December 21). Volcanic eruption in the Red Sea (Yemen) reported. Accessed December 27, 2011. Dr. Vallee was born in France, where he received a B.S. in mathematics at the Sorbonne and an M.S. in astrophysics at Lille University. Coming to the U.S. as an astronomer at the University of Texas, where he co-developed the first computer-based map of Mars for NASA, Jacques later moved to Northwestern University where he received his Ph.D. in computer science. He went on to work on information technology research at SRI International and the Institute for the Future, where he directed the project to build the world’s first network-based collaboration system as a Principal Investigator for the groupware project on Arpanet, the prototype for the Internet. A venture capitalist since 1984, Jacques Vallee has served as an early-stage investor and director of over 60 high-technology companies, a third of which went public through acquisitions or IPOs. Apart from his work with information science and finance, Jacques has had a long-term private interest in astronomy, in writing and in the frontiers of research, notably unidentified aerial phenomena. His most recent book, The Heart of the Internet, is available free of charge on Google Books. He was awarded the Jules Verne Prize for a science fiction novel in French. 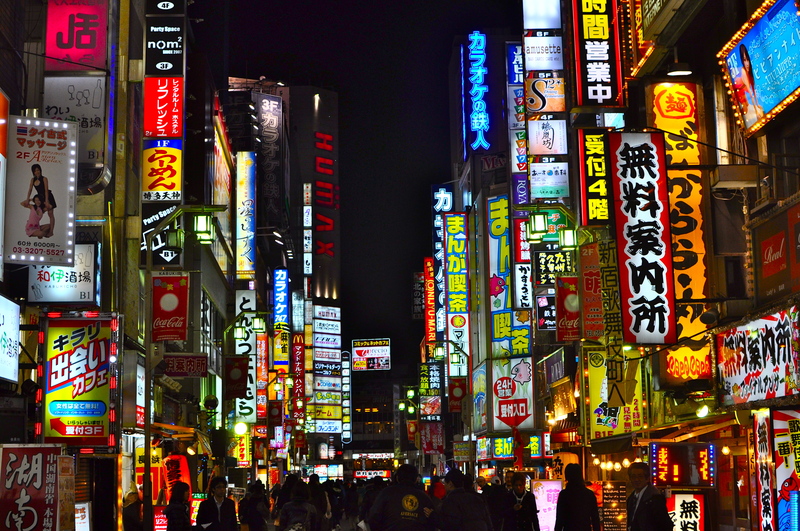 Tokyo – Two strong earthquakes rattled northern Japan on Thursday, but neither caused any apparent damage or a tsunami. A magnitude-6.1 quake struck Thursday evening south of the northern island of Hokkaido, Japan’s Meteorological Agency said. It hit about 465 miles (750 kilometers) northeast of Tokyo and 19 miles (30 kilometers) below the sea surface. The agency did not issue a tsunami warning. About 3,900 households in the towns of Erimo and Samani lost electricity shortly after the quake, but power was restored about an hour later, according to the Hokkaido Electric Power Co. The shaking was not felt in Tokyo, though a morning quake was. That magnitude-6.0 quake struck just off the coast near the nuclear power plant damaged by the March 11 earthquake and tsunami. The two shakings are believed unrelated and did not affect the crippled Fukushima Dai-ichi plant or other nuclear plants in the region. 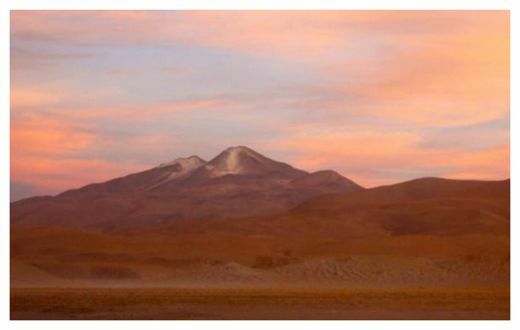 Uturuncu, a Bolivian volcano that is inflating at an incredible rate. Should anyone ever decide to make a show called “CSI: Geology,” a group of scientists studying a mysterious and rapidly inflating South American volcano have got the perfect storyline. Researchers from several universities are essentially working as geological detectives, using a suite of tools to piece together the restive peak’s past in order to understand what it is doing now, and better diagnose what may lie ahead. It’s a mystery they’ve yet to solve. 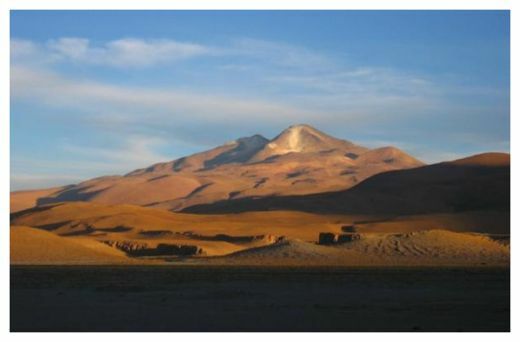 Uturuncu is a nearly 20,000-foot-high (6,000 meters) volcano in southwest Bolivia. Scientists recently discovered the volcano is inflating with astonishing speed. “I call this ‘volcano forensics,’ because we’re using so many different techniques to understand this phenomenon,” said Oregon State University professor Shan de Silva, a volcanologist on the research team. Researchers realized about five years ago that the area below and around Uturuncu is steadily rising – blowing up like a giant balloon under a wide disc of land some 43 miles (70 kilometers) across. Satellite data revealed the region was inflating by 1 to 2 centimeters (less than an inch) per year and had been doing so for at least 20 years, when satellite observations began. The peak is perched like a party hat at the center of the inflating area. “It’s very circular. It’s like a big bull’s-eye,” said Jonathan Perkins, a graduate student at the University of California, Santa Cruz, who recently presented work on the mountain at this year’s Geological Society of America meeting in Minneapolis. Scientists figured out from the inflation rate that the pocket of magma beneath the volcano was growing by about 27 cubic feet (1 cubic meter) per second. “That’s about 10 times faster than the standard rate of magma chamber growth you see for large volcanic systems,” Perkins told OurAmazingPlanet. However, no need to flee just yet, the scientists said. “It’s not a volcano that we think is going to erupt at any moment, but it certainly is interesting, because the area was thought to be essentially dead,” de Silva said. Uturuncu is surrounded by one of the most dense concentrations of supervolcanoes on the planet, all of which fell silent some 1 million years ago. Supervolcanoes get their name because they erupt with such power that they typically spew out 1,000 times more material, in sheer volume, than a volcano like Mount St. Helens. Modern human civilization has never witnessed such an event. The planet’s most recent supervolcanic eruption happened about 74,000 years ago in Indonesia. “These eruptions are thought to have not only a local and regional impact, but potentially a global impact,” de Silva said. Uturuncu itself is in the same class as Mount St. Helens in Washington state, but its aggressive rise could indicate that a new supervolcano is on the way. Or not. De Silva said it appears that local volcanoes hoard magma for about 300,000 years before they blow – and Uturuncu last erupted about 300,000 years ago. “So that’s why it’s important to know how long this has been going on,” he said. To find an answer, scientists needed data that stretch back thousands of years – but they had only 20 years of satellite data. Jonathan Perkins, along with his advisor, Noah Finnegan (he’s behind the camera), conduct field work in the barren landscape surrounding the volcano. “So that’s where we come in as geomorphologists – to look for clues in the landscape to learn about the long-term topographic evolution of the volcano,” Perkins said. 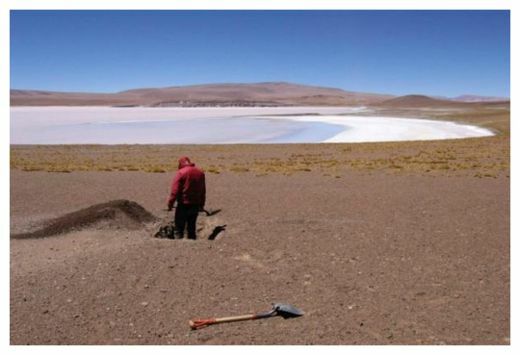 Perkins and colleagues used ancient lakes, now largely dry, along the volcano’s flanks to hunt for signs of rising action. “Lakes are great, because waves from lakes will carve shorelines into bedrock, which make lines,” Perkins said. If the angle of those lines shifted over thousands of years – if the summit of the mountain rose, it would gradually lift one side of the lake – it would indicate the peak had been rising for quite some time, or at least provide a better idea of when the movement began. The local conditions, largely untouched by erosion or the reach of lush plant and animal life, lend themselves to geological detective work, Perkins noted. Perkins said that surveys conducted on the lakes last autumn didn’t indicate long-term inflation. However, tilting lakes are only one indicator of volcano growth, he said. De Silva said the geological detective team is working to combine data from a number of sources – seismic data, GPS data, even minute variations in gravity – to pin down when and why the mountain awoke from its 300,000-year-long slumber, and better predict its next big move. Technology and Words Changing First Nations – Right or Wrong? Min Reyes – Alternative Media Very interesting reads, don’t miss out on this blog!